♦ Great for note taking, jotting down reminders and more. Perfect for school, home or office. 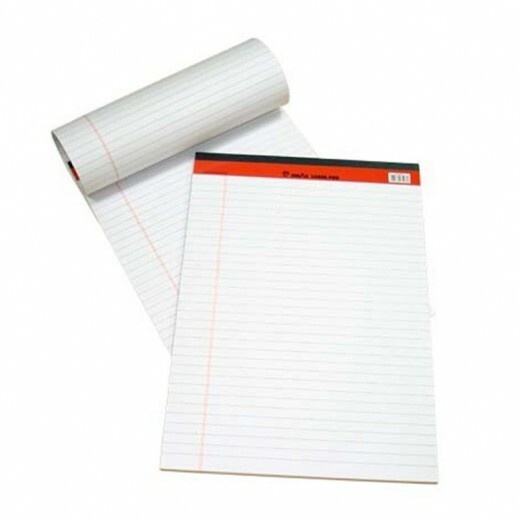 ♦ 40 sheets per pad provide you with 80 pages to write on. ♦ Perforated pages are easy to remove. ♦ Double-stitched top holds pages securely. ♦ Rigid chipboard backing provides a sturdy writing surface. ♦ Each sheet is legal/wide-ruled with 8mm line spaces and a 3cm left margin.